As the industry moves towards more HPHT wells, and with the rise in stringent HSE legislation following the Macondo’10 disaster, we are seeing increasing demands on our products safety specifications. This move, along with a rise in the exposure levels of H2S gas has led to increasing demands for the use of exotic materials with greater corrosion resistance such as the Duplex stainless range and nickel alloys. Although some of the more expensive materials (e.g. Alloy 718) available do genuinely deserve the accolade ‘super’, many, whilst exhibiting exceptional corrosion resistance, compromise on both strength and hardness when compared to standard materials. This is little understood within the industry, and it is often the case that end users will stipulate the need for specific exotic NACE compliant materials for use in inappropriate scenarios, such as unwetted closure bolting. A320 bolts in the L7 grade are supplied with a minimum yield strength of 105 ksi, whilst Super Duplex is supplied with a minimum yield of only 80 ksi. As such, the use of Super Duplex over A320 L7 in unexposed bolting applications, would significantly reduce the load carrying capacity and hence safety factor of a component used in lethal service, with no advantage gained with regards to NACE compliance. 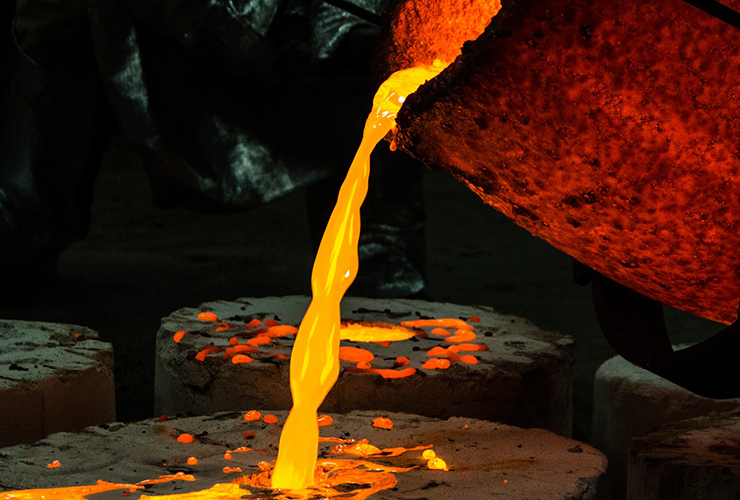 Similarly, care must be taken in applications where flanged components and bodies, formally manufactured from standard materials such as 410 SS (with a yield strength of 80 ksi), are substituted for use in highly corrosive environments by materials such as 6 Mo (with a yield strength of only 45 ksi). In this instance, critical dimensions such as wall and flange thicknesses would need to be reassessed with regards to pressure carrying capability, to ensure adherence to appropriate safety factor limits. In conclusion, although many exotic materials do offer significant performance enhancement with regards to corrosion resistance, blanket application of such materials could needlessly compromise other safety aspects of the design, whilst yielding no advantage. As such, it is essential that any material change in applications of lethal service, be accompanied by a comprehensive mechanical review. Thank you. Your comment is waiting for approval.